46-year-old Whitney decided to leave the likes of Luke Leahy, Nicky Devlin, Joe Edwards, Flo Cuvelier and Erhun Oztumer on the bench as his fringe players were given a starting role. 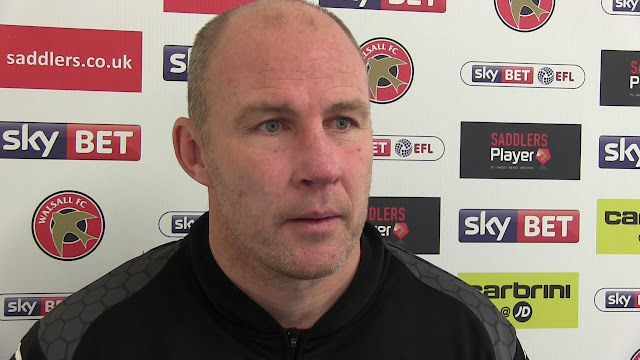 Walsall manager Jon Whitney spoke to the press following Saturday afternoon's pre-season defeat to Lincoln City, and has admitted that some members of his first-team were rested as the match came too swiftly after the midweek double against West Bromwich Albion and Chasetown. Jon, who was speaking via Saddlers.co.uk, said; "When we booked (the friendly) we were hoping we could play our team that we’d be starting (the season) with. With Wednesday night as well, the two-day turnaround was a little too tight for some of the lads and it was a little too risky to play them again today. "We had to look after a few of them today. We worked really hard on Thursday and Friday and rested a few of them. James Wilson got a nasty knock, Joe Edwards got a kick on his foot, Luke Leahy got a whack and Flo Cuvelier got a whack. "We couldn’t really play our strongest team but it was still a competitive game. It was good for some of the younger lads to come in and stake a claim, and I thought there were a couple of things to learn for a few of them. "You think of Callum Cockerill-Mollett, who is still an 18-year-old kid and he is playing against a good, physical League Two team who I’m sure will push again this year. As an exercise it was beneficial and I’m quite happy we’ve come through unscathed."